The tropical jungle setting of the El Dorado Seaside Suites resort contrasted against its modern design and luxurious infinity pool creates the perfect marriage of opposites. In keeping with this theme, this adults-only resort is split into two sections that each offer a unique experience: the Palms section is a quiet getaway with an old-fashioned charm, while the Infinity section offers a lively, modern vibe. 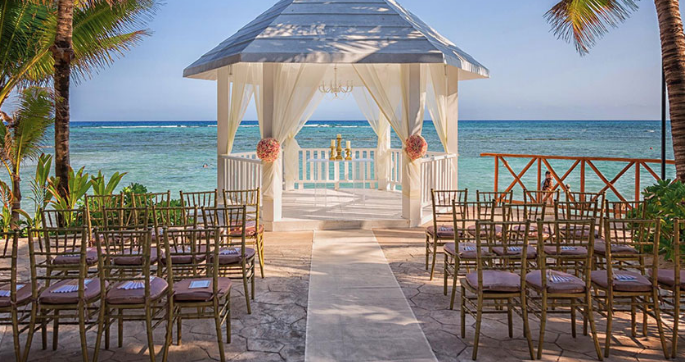 With a variety of gourmet dining options and fun on-site activities, an El Dorado Seaside Suites wedding is sure to please every guest on the list as well as the happy couple. For a unique activity to enjoy with your wedding party, this resort offers Mezcal tastings. Guests with a sweet-tooth will love the signature cocktail made with Irish cream and agave nectar. Leave a lasting token of your wedding at the El Dorado Seaside Suites, and paint a coconut to decorate the public space of your choosing. Perfect as a group activity or as a romantic craft for you and your future spouse. 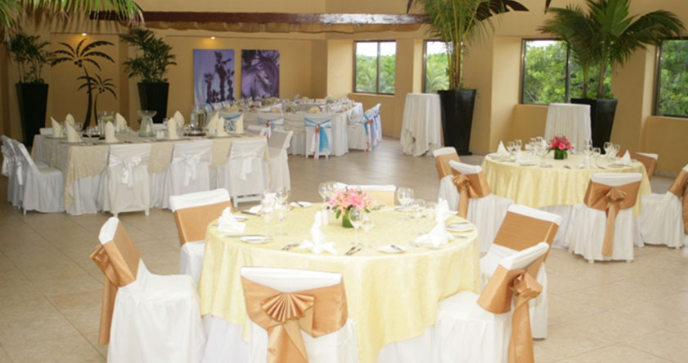 Book the Culinarium restaurant for a wedding reception with a stunning view, elegant atmosphere, and delicious Latin fare. 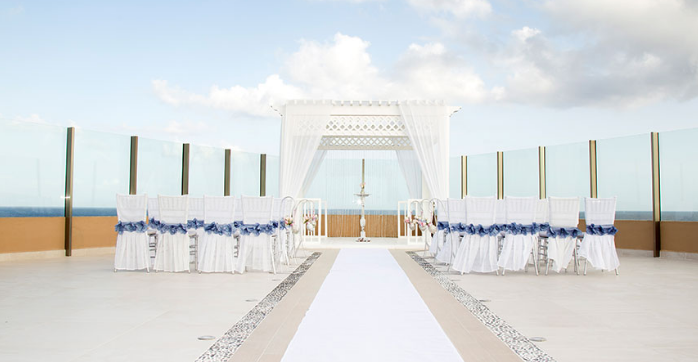 The entry-level wedding package becomes complimentary when booking a minimum combination of 5 rooms for 3 nights. 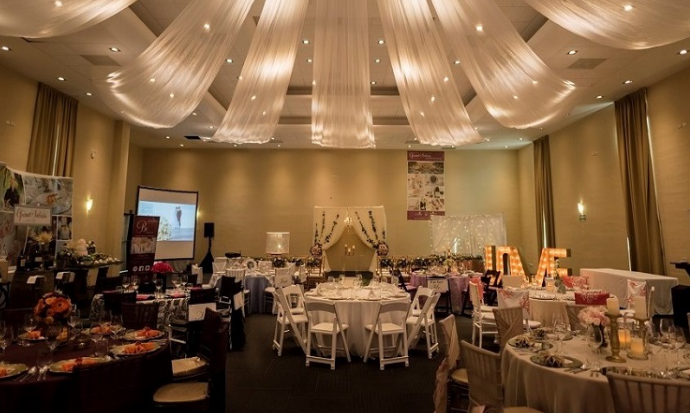 Upgraded packages are available at an additional cost and include unique premium decor themes and additional reception options. Custom packages, additional guests, and add-ons are available for an additional cost. $165 – $250 average price per person per night. Rooms include a living area, minibar, and coffeemaker. Royal category suites are available at an additional cost in both the Infinity and Palms sections and offer spacious private balconies and VIP amenities. There are 574 rooms with garden, pool, and beach views. Beach and pool swim-up suites are available in various categories in both the Infinity and Palms sections. This spacious property is recommended for more active guests, though shuttle services are provided. 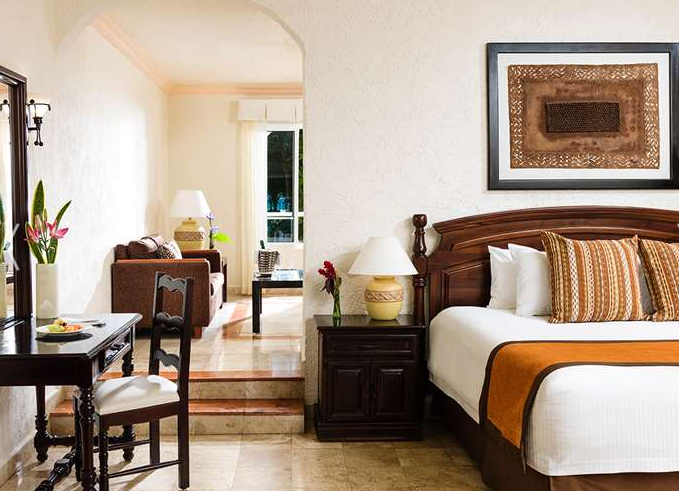 Some facilities are shared with the neighboring El Dorado Sensimar Riviera Maya. Access to nearby beaches are available, though some may require an additional fee. This hotel allows a maximum of 2 adults per entry-level room, ages 18 and older. 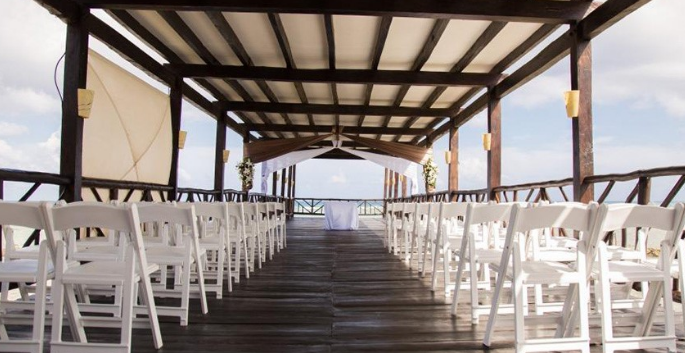 The resort can host up to 2 weddings per day Monday – Sunday. Ceremonies are typically performed at 4pm and 6pm. 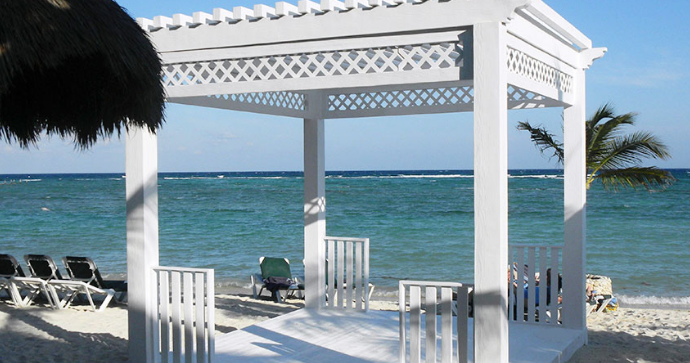 The resort experiences high chances of occupancy in March, April, May, and June. 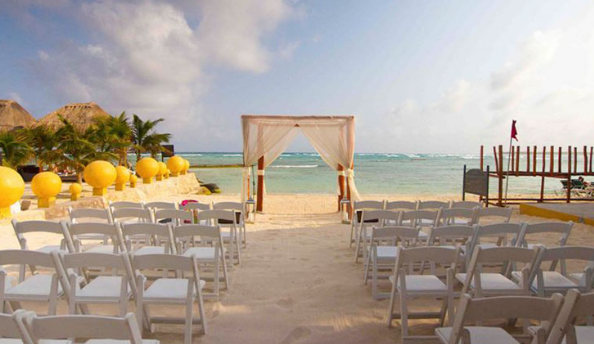 The El Dorado Seaside Suites Wedding Department typically responds within 24 hours. The resort is located 53 miles from the CUN Airport.